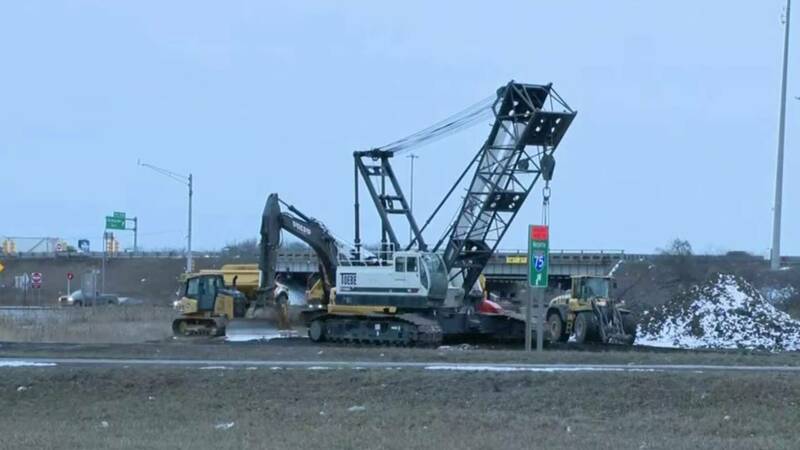 OAKLAND COUNTY, Mich. - The next phase of a project to reconstruct parts of I-75 in Oakland County started Saturday morning. 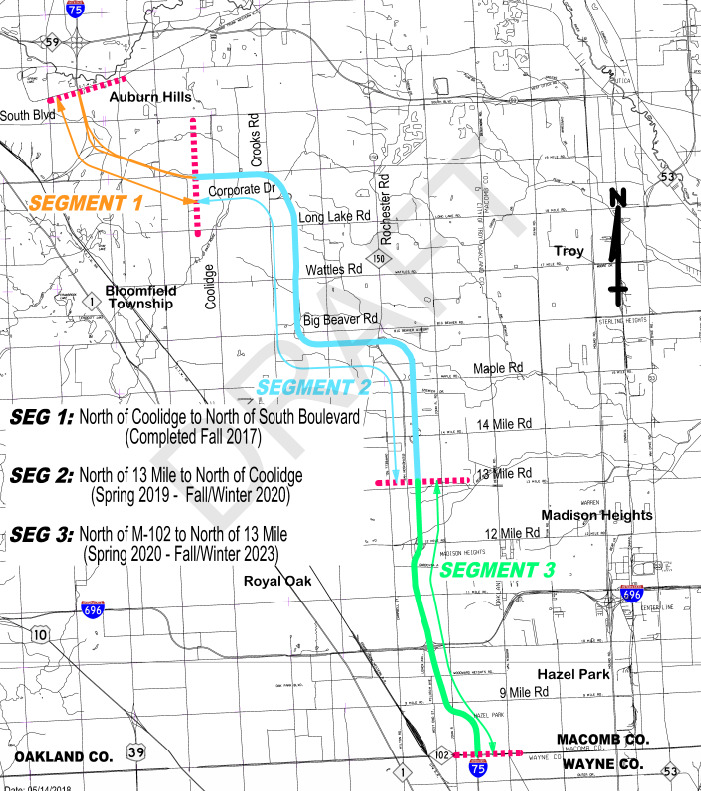 This phase involves rebuilding more than 8 miles of I-75 between Coolidge Highway and 13 Mile Road. A single-lane closure of southbound I-75 has already started. The remaining work, originally planned for this weekend, has been delayed to later in the week. These ramps will remain closed for the duration of the 2019 construction season. On Thursday at about 8:30 a.m., two lanes will be closed on southbound I-75. Close to the end of the workday, two lanes of southbound I-75 traffic will be shifted to the right using the right shoulder as a travel lane. On Friday at 9 a.m., crews will close the exit ramp from northbound I-75 to westbound Big Beaver Road, the right lane of northbound I-75 at Big Beaver Road and the left lane at Coolidge Road. Once the full traffic shift is put in place -- weather permitting -- two lanes of traffic will be open in each direction, with a temporary concrete barrier separating northbound and southbound traffic.